From a funky town called Inkwell, here come the Inkoos! Quirky characters with a taste for adventure, Inkoos are drawn to life with a little Inkspiration from a friend like you. With their amazing markers, you can draw, design and decorate them into anything you can imagine! If you can think it, you can ink it! Bring Olaf from Frozen to life! 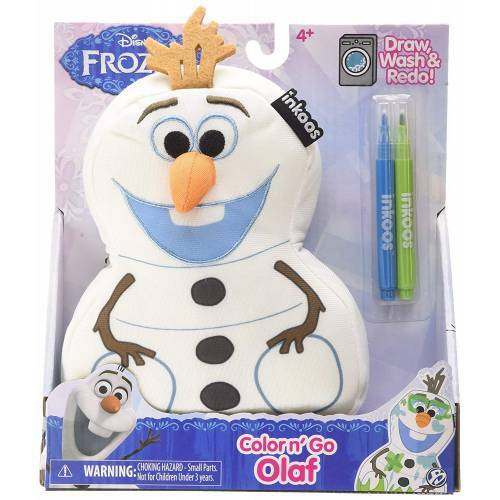 Draw on both sides of Olaf with the washable markers, once you are finished with your artistic creations simply pop Olaf in the washing machine and she will come out squeaky clean! Start all over again and design your Inkoo in a whole new way! 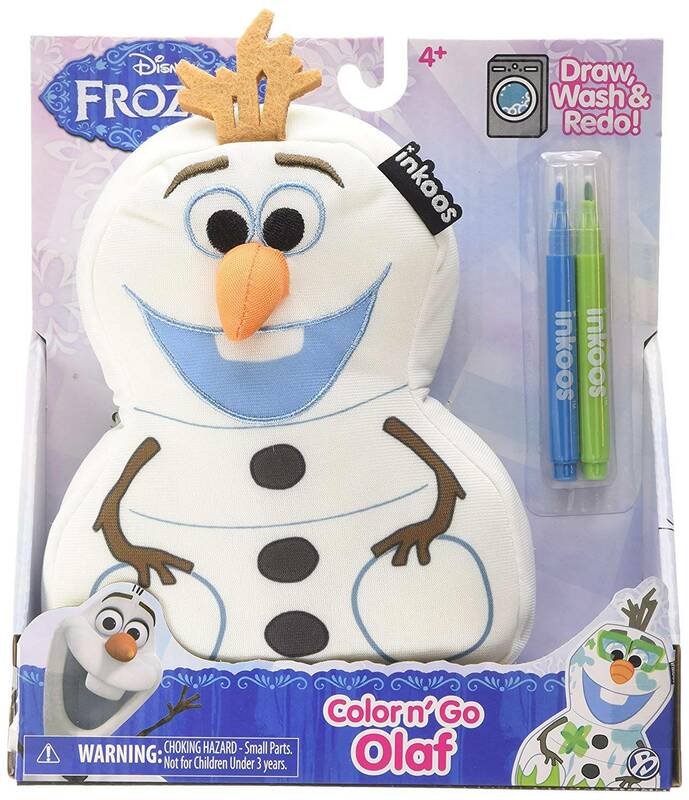 Olaf comes with 2 washable markers.